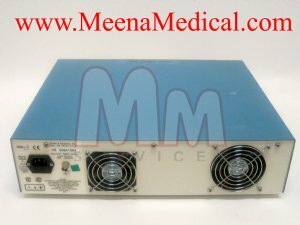 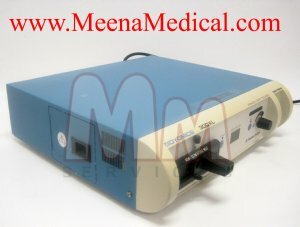 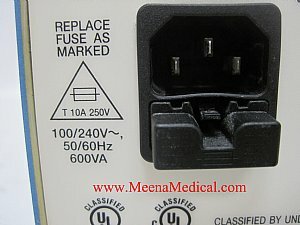 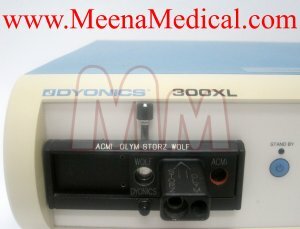 Smith & Nephew Dyonics 300XL Xenon Light Source 7206084 is preowned and in good condition. 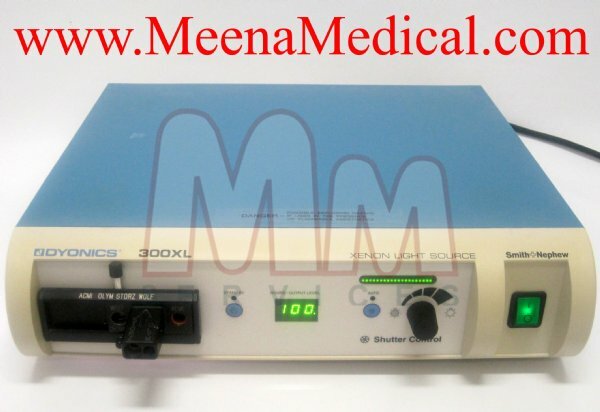 The Smith & Nephew 300XL Light Source provides abundant illumination for all endoscopic specialties. 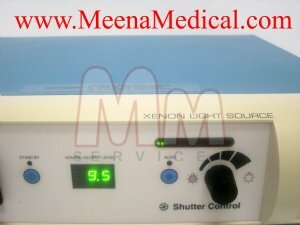 Intuitive operation makes the 300XL Light Source easy to use. 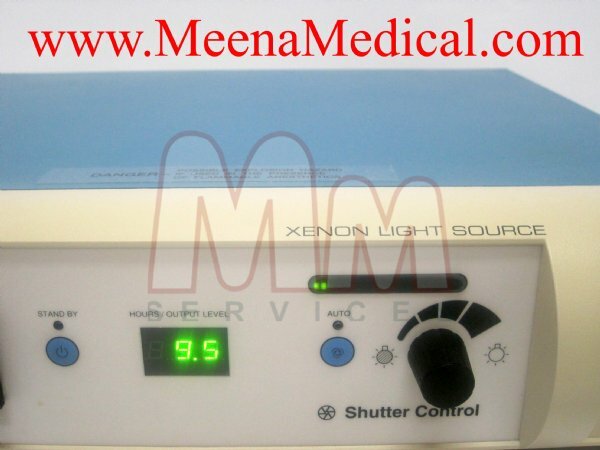 It is digitally controlled to ensure smooth and precise shutter operation. 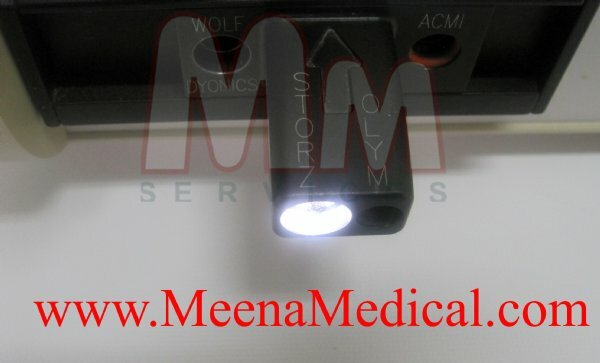 Advanced Xenon Lamp technology and optics deliver the bright and balanced illumination surgeons demand. Excellent engineering, efficient design, and exceptional performance - the qualities you expect from the leader in endoscopic imaging. Smith and Nephew DYONICS light source provides bright white light for natural color reproduction. It features a multi-port light receptacle for use with fiber optic cables from DYONICS, Olympus, Storz and ACMI. Dimensions: Height: 4.5", Length: 16", Width: 17"